It’s not just the year 2014 that rolled over yesterday – I also developed two films and added the negatives to my database, which rolled over 4000 negatives too. 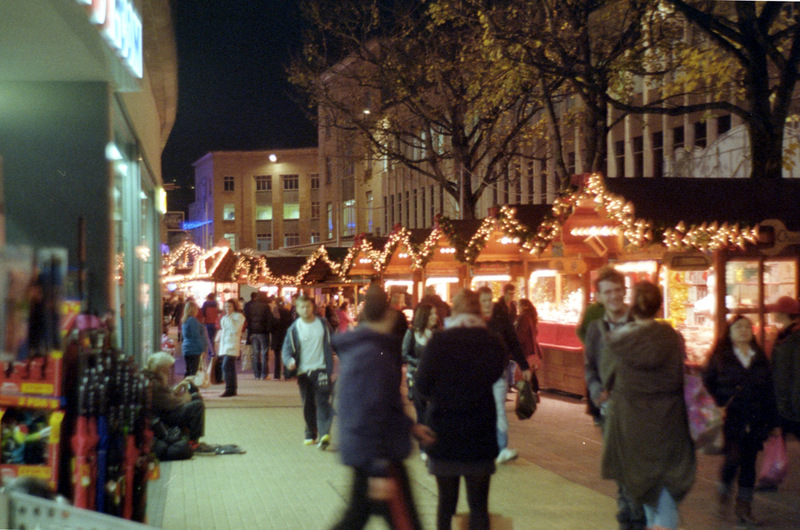 The first film I shot with my Zorki 4 rangefinder, mostly at the German Christmas market in Bristol. 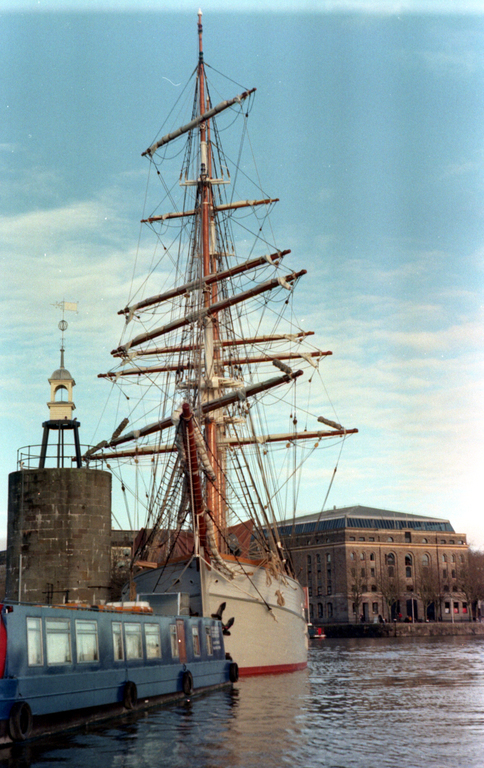 I also took some pictures when my colleague Chris upgraded his awesomeness by buying a boat, and took me for a short spin around Bristol floating harbour. 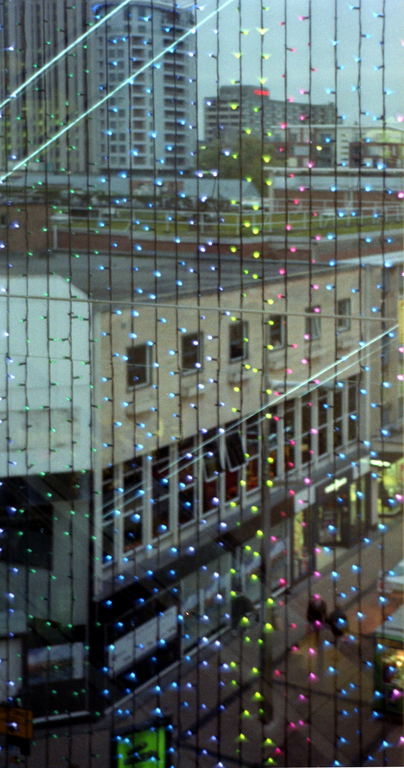 The second film was shot with a toy camera I picked up in a charity shop a few months ago. It’s a Lomo ActionSampler, has 4 lenses and takes 4 pictures in quick succession after each other. It has no focus or exposure controls, plastic lenses and a cheap construction. It’s not normally something I’d go for (especially at the retail price of £29) but when I found it for £2 I couldn’t resist. Both films were shot on Kodak Kodacolor 200, which I picked up from Poundland. It’s a pretty poor film, but fun for playing with. The 4000th negative itself wasn’t any good so I haven’t published that particular one. Here are some others from both films that I quite liked. I noticed a few things about these pictures. 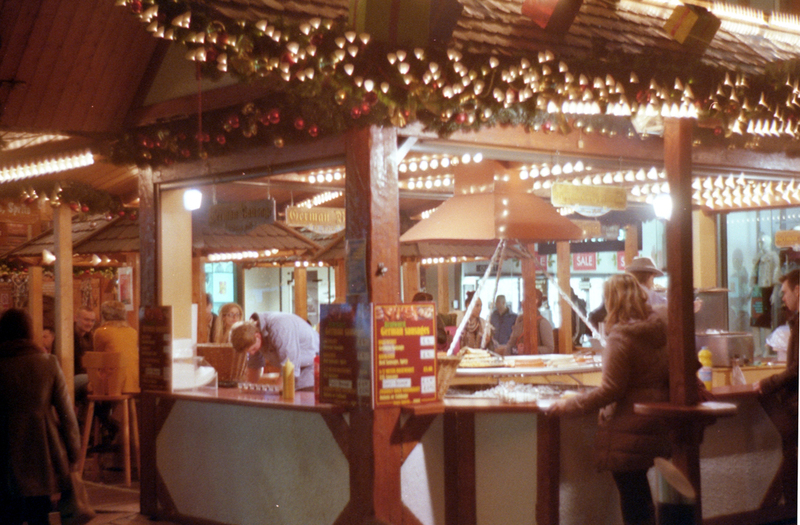 As the light was low at the Christmas market, most of those pictures taken with the Zorki camera and Jupiter-8 lens were shot wide open at f/2. Like many lenses of its era, it exhibits aberrations wide open, but I’d never really noticed them before. In the pictures of the vertical strings of fairy lights, and the fairy lights over the stalls, you can see that the points of light have become triangles and are all pointing towards the centre of the frame. This is caused by comatic aberration, and is fixed by closing the aperture down a bit. (And no, this isn’t the same issue my telescope had!). 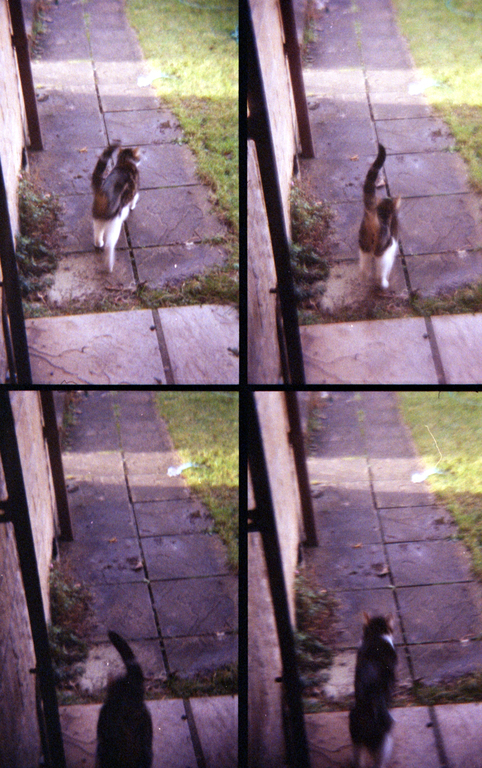 As for the ActionSampler, the optics are awful and all of the images are very soft and low in contrast. I included the sun in some of the pictures but they ended up as a mess of haze. 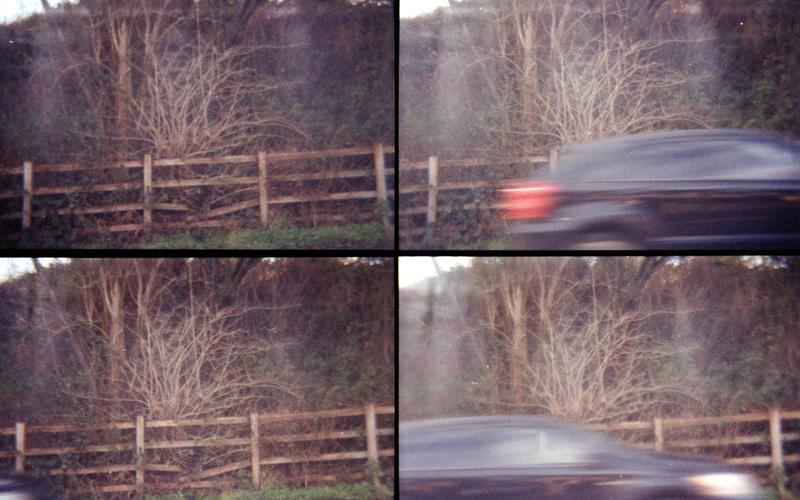 I also noticed that the four shutters work at inconsistent speeds. 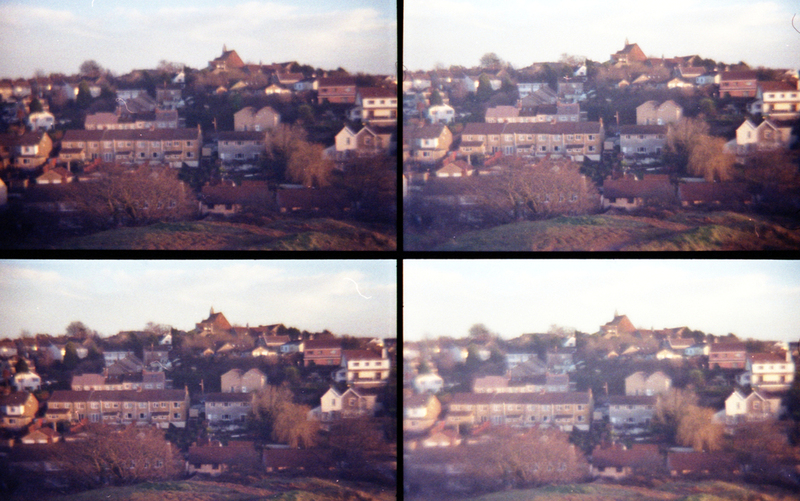 On the landscape-format pictures, the camera exposes the top-left frame first and continues anti-clockwise. The two frames on the right hand side (the third and fourth exposures) are always a bit brighter. It’s a fun little camera, though.